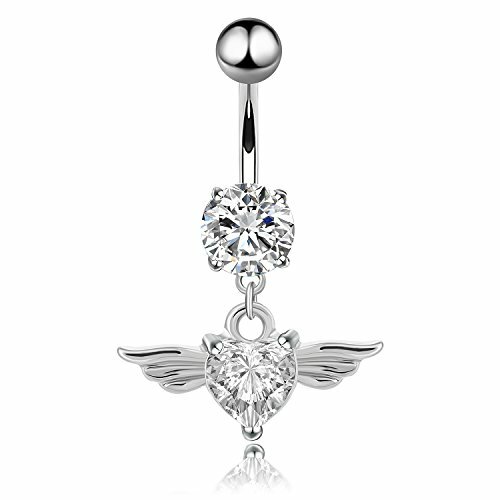 A heavenly navel ring created with Swarovski crystals. 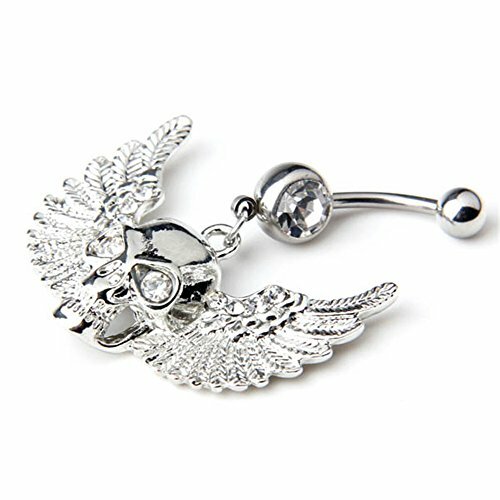 Adorn your navel with this angel belly button ring designed with a stainless steel barbell and .925 sterling silver angel charm accented with gold plating. 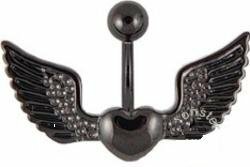 Guardian angel body jewelry. 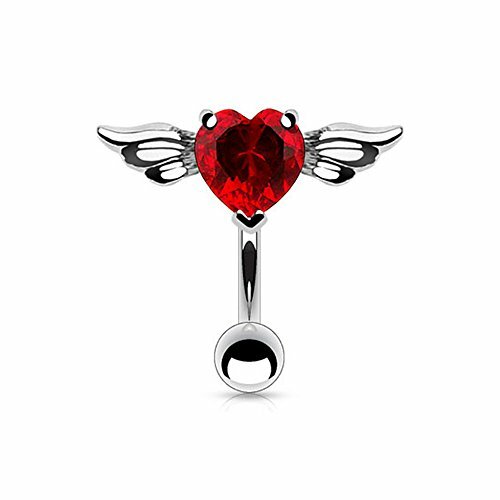 Specifications: 14 Gauge (1.6mm), 3/8" (10mm), 316L Stainless Steel Barbell, .925 Sterling Silver Charm, Created with Swarovski Crystals. Little Aiden's goal is to combine quality construction and elegant designs with a low price in order to make our consumers happy and satisfied. We stand by our product. 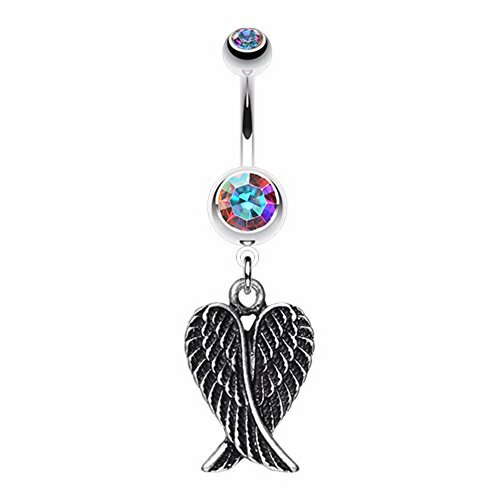 If for any reason you are unhappy with your purchase, please contact us. We will make sure to fix and address the situation. Please let us know how we are doing because when you are happy, we are happy. Thank you.